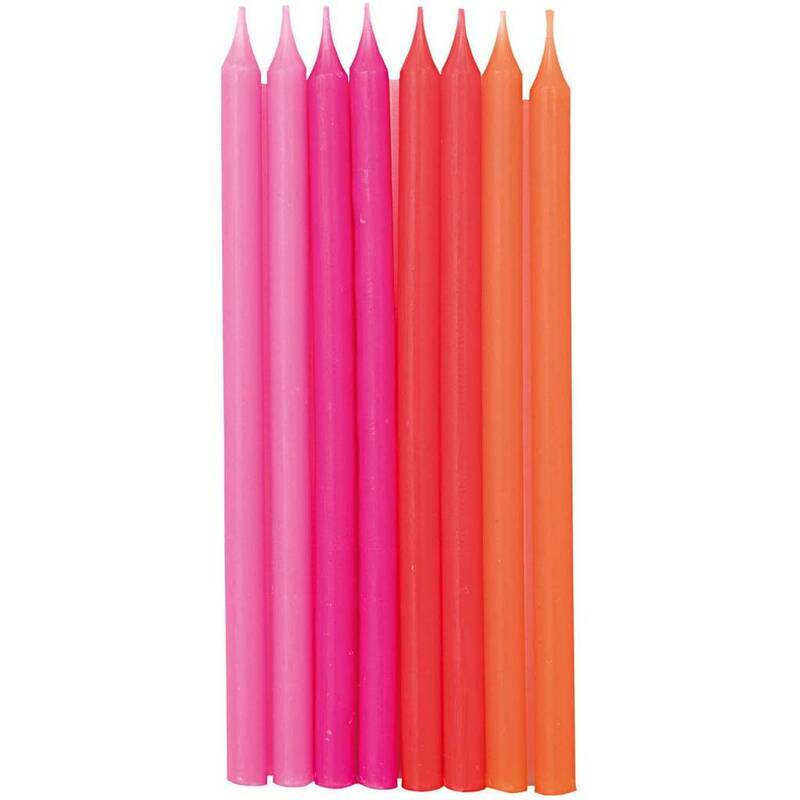 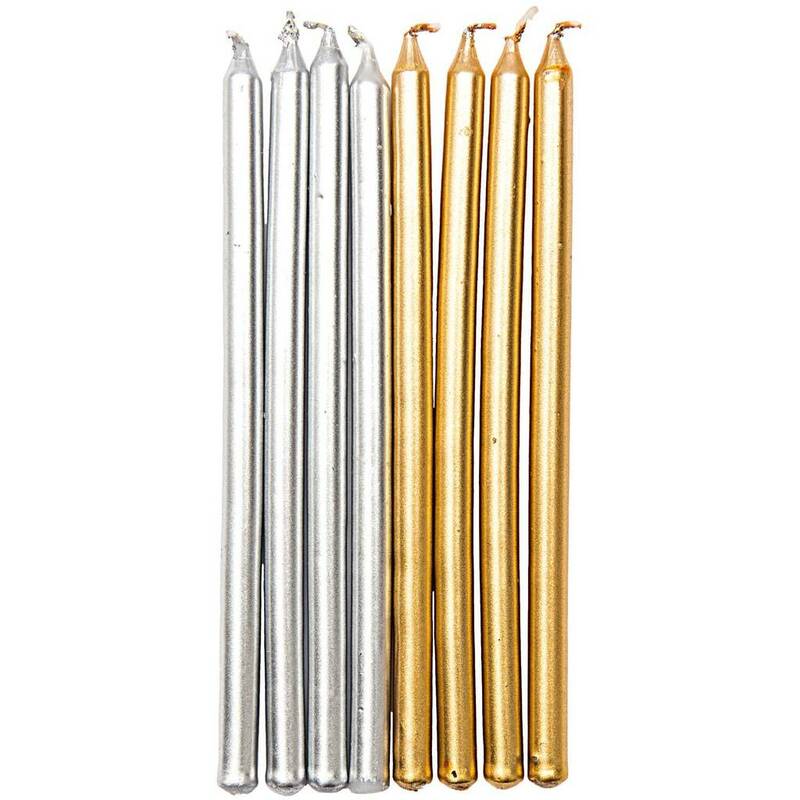 Long, brightly coloured party candles. 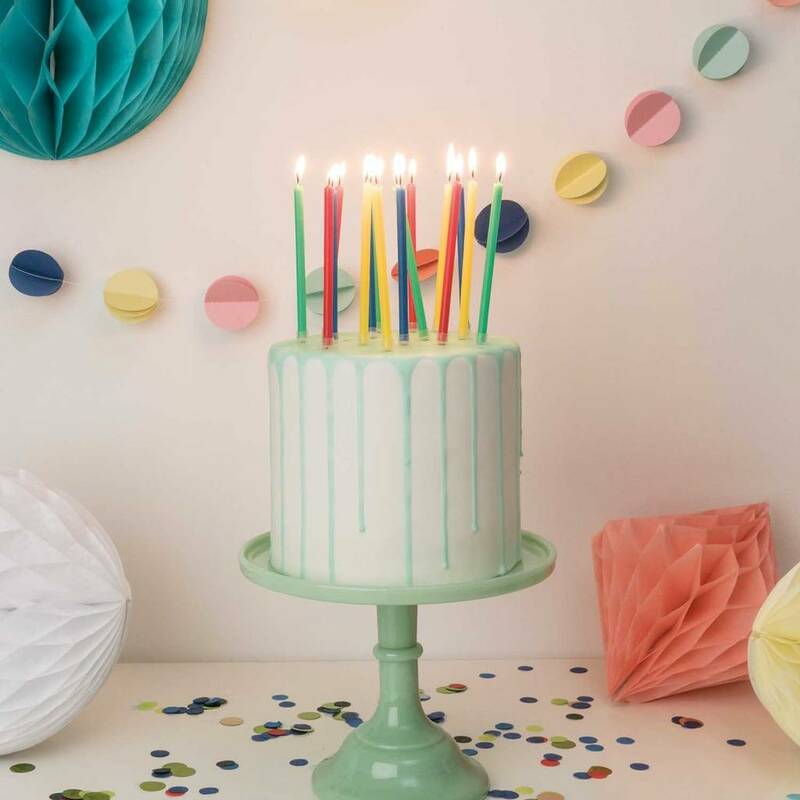 Perfect for adorning a birthday or celebration cake! 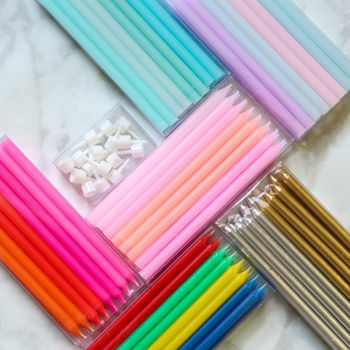 Or perhaps use them on a batch of special cupcakes? 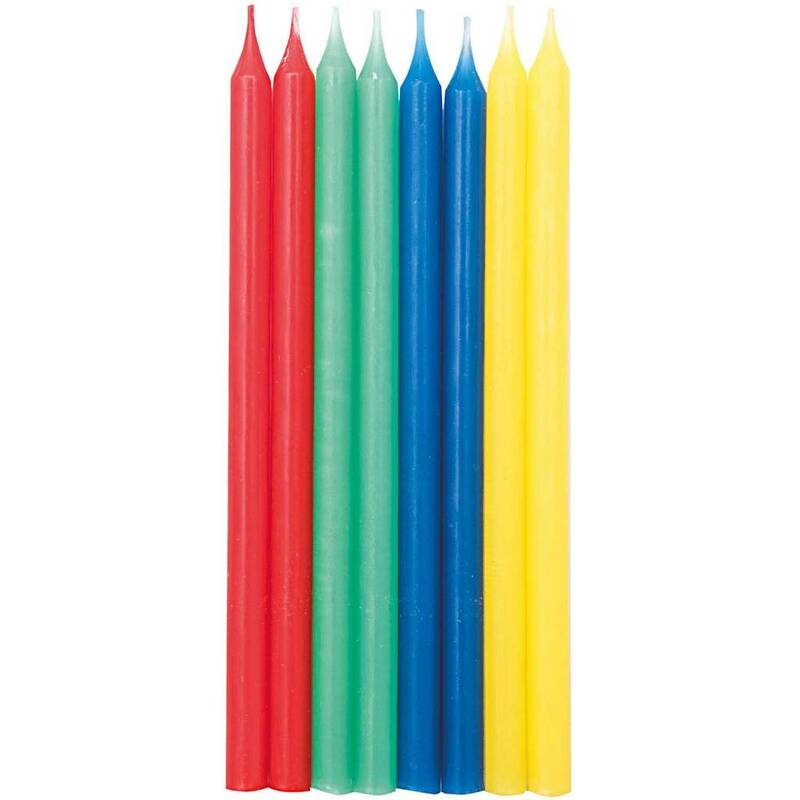 At 12cm long, they are sure to impress. 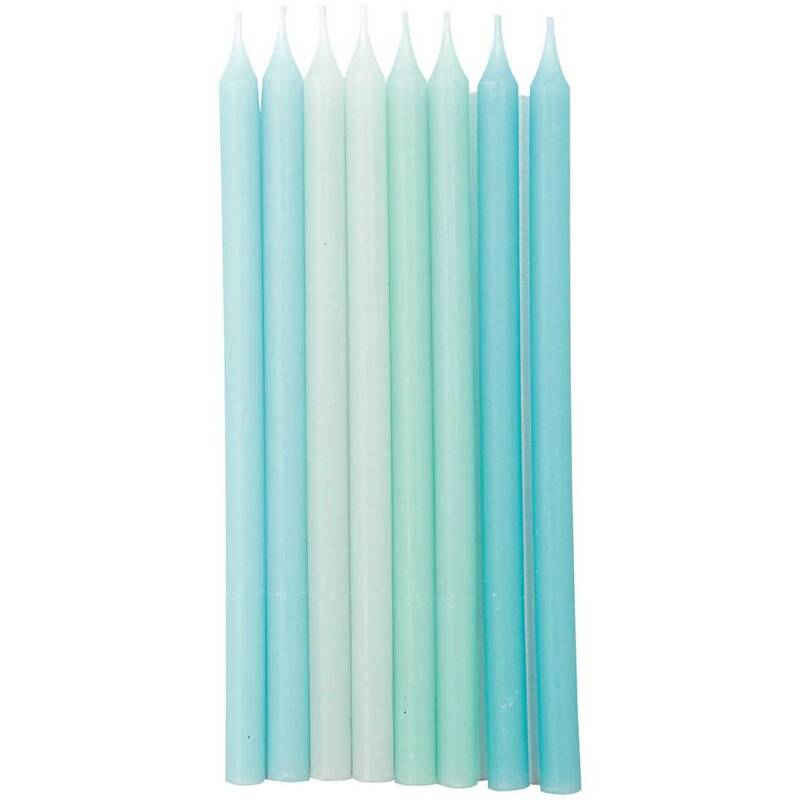 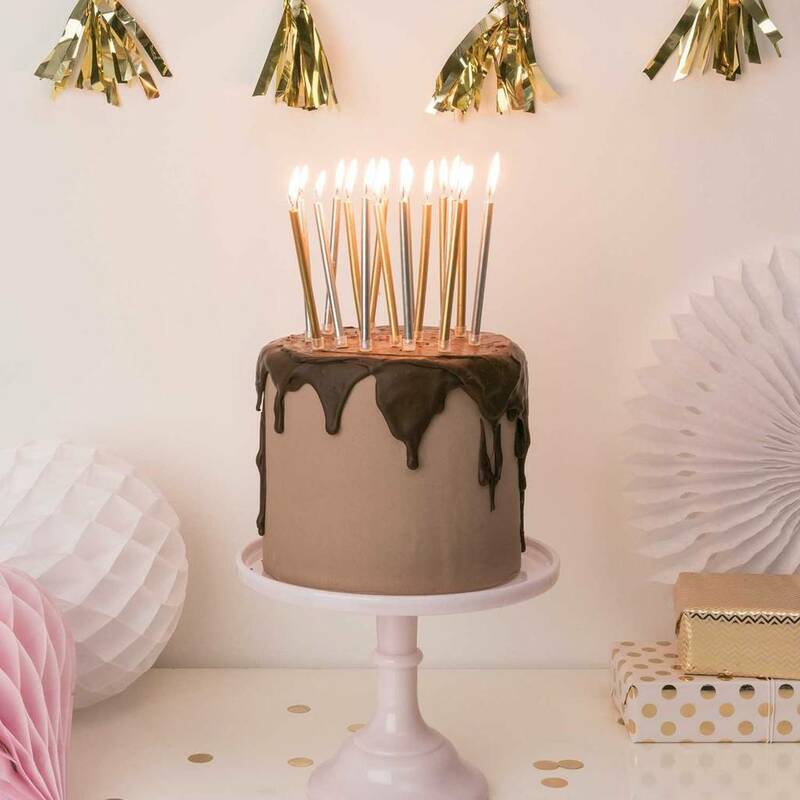 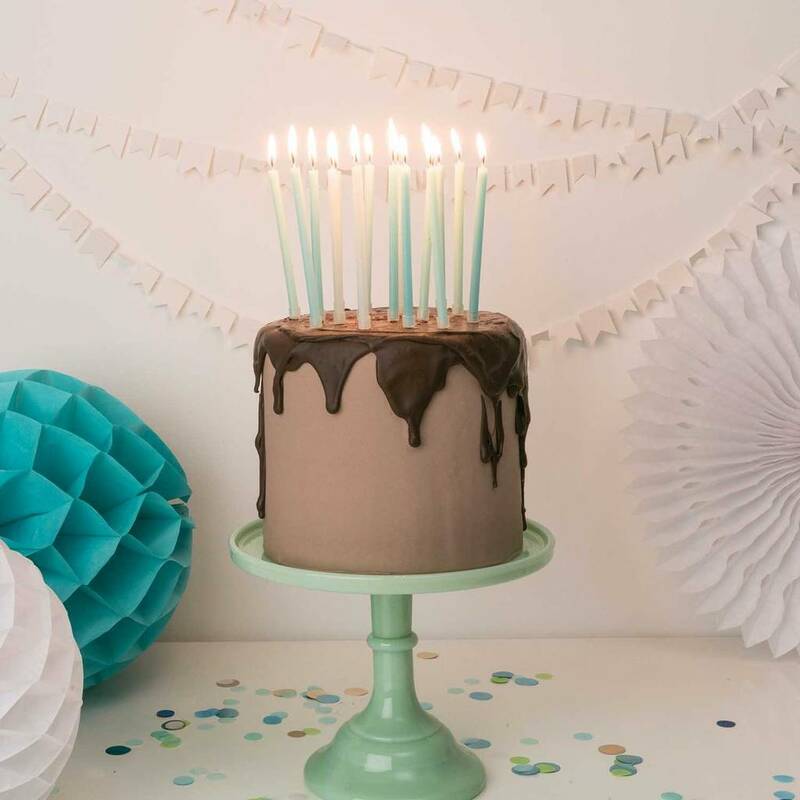 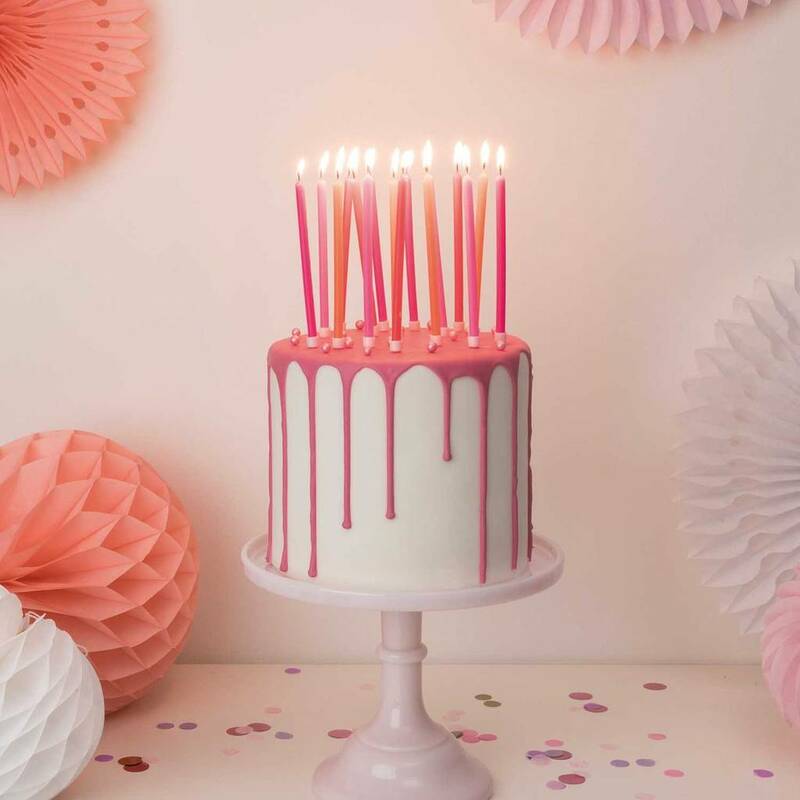 Simply place the candles in resuable plastic holders (sold separately on this listing), push them in to your cake, light, sing 'Happy Birthday' and encourage wish making before blowing them out! 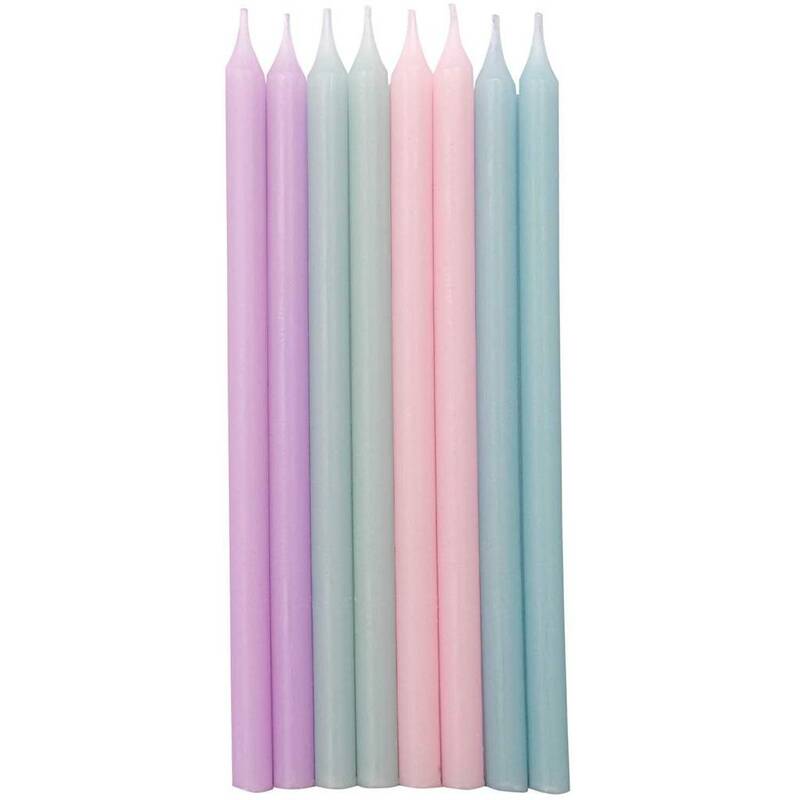 Each pack contains 16 candles. Choose from Bright mix - red, green, blue, yellow; Hot mix - vibrant pinks & oranges; Mint mix - subtle shades of mint and blue; Pink & Peach mix; Pastel Mix; Gold & Silver.